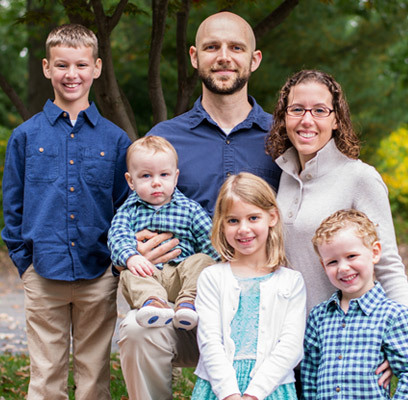 Esther Black is a second-generation homeschooler, wife, mom of 7, and HomeWorks by Precept Consultant from Iowa. 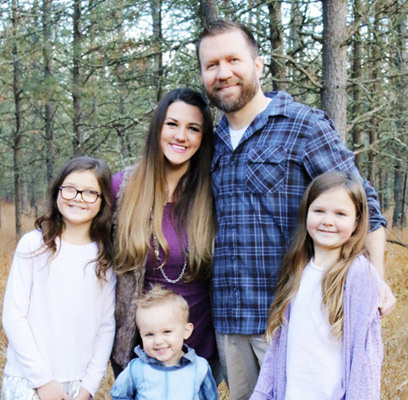 Her goal is to encourage and support other homeschooling families to find the tools they need to continue investing in their children. Her family has been homeschooling since 2007. There was a point in her family’s homeschooling journey when she felt like throwing in the towel for good. Not because she wanted to, but because she realized she just couldn’t juggle her responsibilities well. 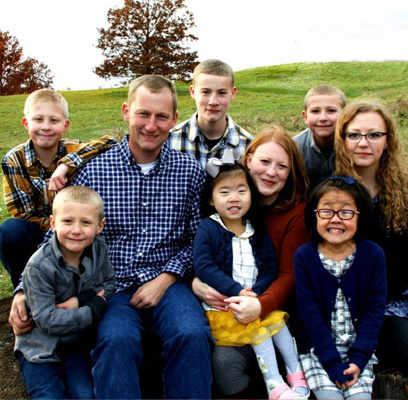 It became a challenge to keep up with different grades, new babies, personal health issues, helping run their family’s small business, and eventually going through two international adoptions. She needed help, and her husband was the biggest encouragement to help her find materials that worked for their family. 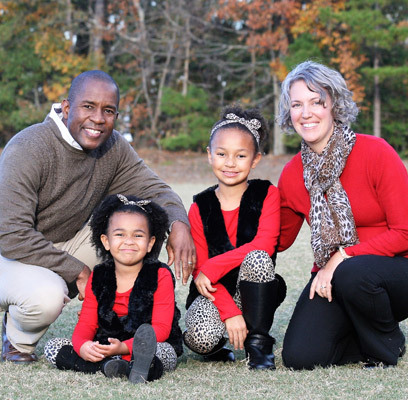 In 2012, their lives collided with BJU Press Homeschool Distance Learning at a time they needed it most. They quickly came to realize their biggest regret was not trying BJU Press Homeschool Distance Learning Online Video Courses sooner. The parent portal is one of Esther’s many favorites about Distance Learning Online. “I can access multiple students and their progress, see what they have accomplished for the day, or what still needs to be done, track grades, and check work pages easily. All of this can be done wherever the internet is available. I’ve even done this while sitting in waiting rooms, and the kitchen. Homeschooling moms and dads are active, and they need tools to help them keep up with their busy lives. 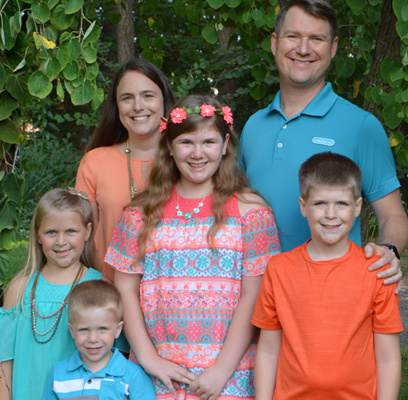 BJU Press Homeschool has given us tools to keep up with technology while keeping classic education intact.” Esther explains. 1. It gives children an excellent foundational education. 2. It's designed to meet the needs of all learning types. 3. It's thorough, allowing for critical thinking. 5. The pages are vibrant and colorful. 6. It engages children each day with new adventures and new learning. 7. It's academically sound, preparing children for successful futures. 8. It allows for great character development with lessons deeply based upon biblical values. 9. It's extremely helpful for families tackling multiple grade levels. 10. It makes the homeschooling adventure easier and a more manageable option for many. 11. It helps aid children in becoming more independent with their lessons. 13. It provides flexibility for students to learn at their own pace. 14. The yearly schedule is customizable and beneficial to busy families by allowing lessons to work with each family’s unique schedule. 15. The curriculum fits perfectly and practically into everyday life. 16. It is helpful when tackling any subject parents might find challenging. 17. The dinner table conversation is great! Everyone enjoys sharing what they learned each day. 18. Tests and assessments help parents evaluate and see how their child has grown and progressed. 19. The Bible is at the center of each day, in every class! 20. In my opinion,it is the best homeschool investment parents can give their children. FIND YOUR REASONS Our homeschooling story may sound like yours. Or it might not. You have your own story and reasons for homeschooling. Those reasons are important! Because a day will probably come when you will contemplate sending your precious children off on a big yellow bus like I did. Maybe you need a break, or you don’t think you’re doing a good enough job or fill-in-your-own-blank-here. That’s when your reasons for homeschooling become so very important. Those motivations for homeschooling are what will help you stay on track - even when you’re not sure you want to, or even know how to keep going. After homeschooling for a few years, your reasons may shift and change. It’s a natural part of any homeschooling journey. But all those reasons for homeschooling - whether you’re just beginning or you’ve been working at it for a while - will become the backbone for creating a successful homeschool that works for you and your family. CONNECT FOR SUCCESS You have courageously chosen to school your children at home. Connecting with support immediately after making that decision is often important in having great success. Connecting with other moms and dads who have traveled this unique path before you can be one of the biggest blessings to you and your family. HomeWorks by Precept Consultants are great mentors for families! • Receive advice that is not swayed by emotion or attachment. • Learn from his or her own personal experiences, successes, and regrets. • Find encouragement to keep doing what the Lord has called you to do. • Personal, committed prayer warrior for your homeschool. • Keep money in your pocket with money-saving discounts for your BJU Press Homeschool materials. Esther is just one of many HomeWorks Consultants throughout North America. If you have questions about curriculum or homeschooling challenges, you can find and contact your local consultant through the Consultant and Event Locator. HomeWorks By Precept exists to provide you with the best educational resources to help your child become a creative, adaptive thinker with a strong biblical worldview. Our relationship doesn’t end with the once-a-year curriculum purchase—HomeWorks By Precept is here to partner with you all year long.